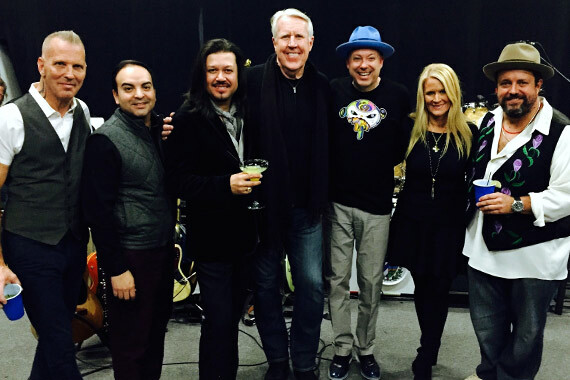 Pictured (L-R): Paul Deakin (The Mavericks), Mike Molinar (Big Machine Music), Eddie Perez (The Mavericks), George Briner (The Valory Music Co.), Jerry Dale McFadden (The Mavericks), Allison Jones (BMLG) and Raul Malo (The Mavericks). Last night (Feb. 12), The Valory Music Co.’s legendary band, The Mavericks, hosted a private gathering for music industry fans and friends in advance of their latest CD and international tour. Mono, the 12-track album will be released Tuesday, Feb. 17 in time for the Mondo Mundo Tour, which kicks off Thurs., Feb. 19 at The Wilbur Theater in Boston. The Grammy-winning band’s invitation was complete with an intimate live preview of select songs and a Patron margarita bar. NPR is now streaming the album in-full. The Mavericks return to the Grand Ole Opry stage tonight (Feb. 13), where they first announced the new album last November. They will perform the lead track, “All Night Long,” on Late Night With Seth Meyers, airing next Wednesday (Feb. 18) on NBC at 11:35p.m. CT.
For more information, visit themavericksband.com. 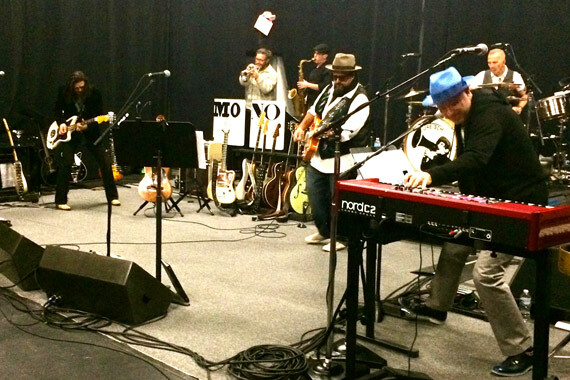 The Mavericks jam as they preview tunes from MONO, due out Feb. 17 on The Valory Music Co.